The rental yield is the measure of the amount of income your property will produce each year as a percentage of your property value. Gross yield is before you add the holding expenses that include bills, expenses for property management, and mortgage interest. Net Yield is the number you get after adding the holding cost. Now, you are aware of the different types of yield. The next question in your mind will be what is the good yield? Mostly, we advise our clients that the amount of 5% to 7% is a good yield. This number can fluctuate with the market. Yield is a good indicator for cash flow and doesn’t forget to balance it out with capital growth. If you are looking for the guidance to increase your yield, then you get property management Cape Cod MA services from professional companies. Changing the vanity or mirror in the bathroom. Changing the handles or door of cupboards. Instead of carpet, laying a floorboard. Adding low maintenance plants in the garden. Problems are inevitable. Carry out a regular inspection to identify the problem and instantly fix them. You need to do this to maintain the value of the property. If you are not doing this, then a small problem can result in bigger problems needing more money. When you will be maintaining the look of your property you can easily increase the rental yield by making the improvements with time. Every year on every property there should be a rent review. You should increase the rent on a yearly basis after analyzing some comparable data of your investment property. Rates, strata levies, water goes up every year. If you are not increasing the rent with the line, then there will be a decrease in your rental yield. No tenants will like to see dirty walls, stains on carpets, or half of the belongings left in the wardrobe by previous tenants. You need to pay attention to these things and keep your property clean so that you can easily increase the rent when selecting the new tenants for your property. To get the work done, you should hire professional cleaners for your property. To manage your property and keep it in good condition, you should get property management services from the professional companies. •Will tenants look after your property? •Will they pay rent on time? •Will, they can be deal with easily? If you are getting the answers to these questions, then you should select the tenants. Moreover, a long-term tenant will help you in maintain the yield. When you are planning to rent out your property, then you should do it with a high value in your mind. With the high price, if you are not getting the desired response, then you can lower your rent to select the tenants when you want. Doing a test with your rental price will provide you an opportunity to make more from your real estate. One of the significant keys to earning more return on your income is to let the tenants move with their interest. Most of the homeowners do not allow tenants to bring their pets with them. This condition can be right in some cases but most of the time you might lose potential tenants. To handle this situation, you can ask your tenant for pet premium deposit that wants to bring their pets. You can use those deposits to fix the carpets rip by cat or dog or any other damage caused by the pets. Rent is a taxable form of income. But you might know that some homeowners do charge and you can get rid due to tax reliefs. For instance, if you pay a letting agent, then you can claim back the tax against these costs. This approach will help you to save hundreds and even thousands of dollars in a year. Thus, ensuring that you enjoy a positive rental yield from your investment. To get more information about tax relief, you should hire skilled professional property managers as they are aware of all the state and national laws/tax regulations. When you are planning to make an investment on your property, you should evaluate the thing properly. You need to ensure that a particular investment will increase the value of your house. For instance, a brand new kitchen in your house will help you in increasing the rent. 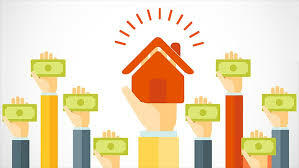 You should be making the investment only when it is beneficial for your property. If you are having long–term tenants, then your property will not remain empty for a long period. When your property will be occupied you can increase your rental yield. In case, if it stays empty, then you will see a cut in your rental yield. Even, if your property stays empty for a month, you will still see a drop in your rental yield. You should pay attention to doing small timely improvements to benefits the tenants so that they can stay for long in your property. These were some of the tips that you can follow to increase your rental yield. If you are looking to get more professional assistance to boost your rental yield, then you can consult the property management company for satisfactory results. The expert team will guide you in the right direction to get a high ROI on your property.